Melanie Douglas is alone on the Nebraska plains, teaching school to get by. She finds a unique box with hidden drawers to use over the advent season to engage a young boy in his schooling. When Henry O Keeffe sees a positive change in his son, he has to see for himself what this new teacher is doing. Matt Reeves arrives at his brother s ranch to find Betsy Harden alone with the little girls during a cattle drive. Will the ladies be too much to handle when Matt steps in for the missing ranch hand? A lonely young rancher orders a mail-order bride and after the vows are spoken, she surprises him with her three little brothers. No amount of apologies Meghan McCray gives are going to make Silas Harden, Jr. believe a word she says. Should Silas just build himself another house and let his mail-order family take over the one he s got? Debba McClain takes offense at being offered a wedding in exchange for valuable water rights. But she doesn t like to see a good man s cattle die of thirst and the rancher Tanner Harden is rather handsome. 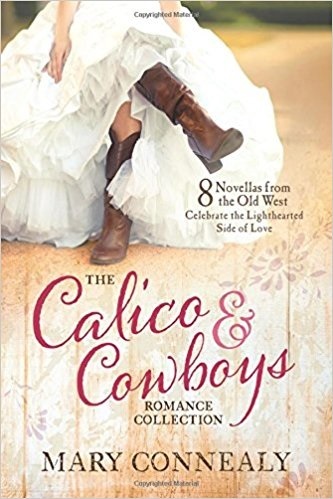 © 2019 Mary Connealy – Best Selling Author of Romantic Comedy with Cowboys. All Rights Reserved.